In addition to Samsung’s recent troubles with the recall of their new phone for some explosive issues, Samsung has found themselves once again in hot water. Samsung, while known primarily for their handheld electronic devices, is also a manufacturer of a number of appliances, ranging from televisions to washing machines. Samsung has been the subject of several lawsuits regarding one of their models of washing machines. 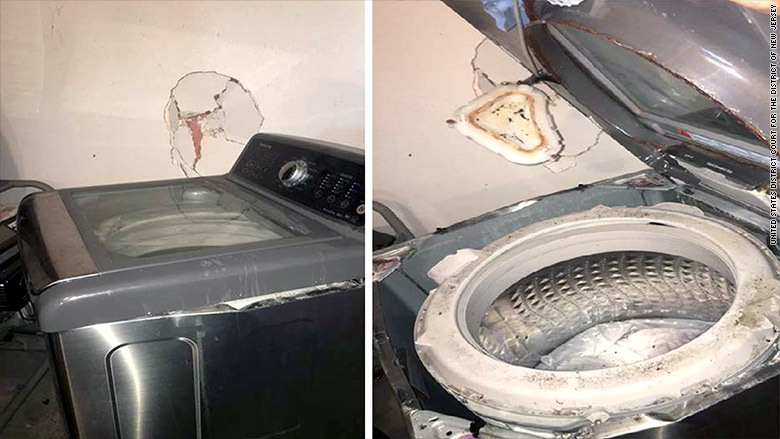 The type of washing machines was sold nationwide between between March 2011 through April 2016, and some of the units sold have a particularly alarming defect: the potential to explode. Following a news report coming from Georgia of one woman’s washing machine exploding, the Consumer Product Safety Commission (CSPC) has since issued and announced an official warning about these washing machines. CSPC officials are currently working with Samsung on potential fixes for the issue, as well as methods of recall or replacement. There have been at least 21 reports prior to the CSPC’s official statement of warning. The cause of the destructive tendencies in these washing machines lies in a support rod for the washing machine. The support rod does not have the strength to hold the washing tub in place, and can come loose, causing the washing machine to tear itself apart during the spin cycle, which can cause the washing machine to erupt violently. In an attempt to raise awareness of the problem, Samsung has come forward offering potential workarounds to the situation. Consumers who own the affected washing machines may enter their washing machine’s serial number into a database to see if it may be affected. Samsung has also advised owners to make use of the machine’s delicate cycle so that items are cycled at a lower speed to prevent the washing tub from becoming dislodged. While this does not remedy the customers who have already purchased their units, it does provide an explanation and a temporary solution. A proper remedy would be a replacement or refund for the units, and it may be on its way in the future, as Samsung took a similar route with its phone recall. Samsung is now facing a number of lawsuits regarding their washing machines. Several plaintiffs have filed suits in New Jersey federal court against the electronics company. This is right on the heels of a recent recall for their latest model of the Samsung Galaxy, which had battery issues that were linked to explosions. If a person is injured as a result of a product failure, one remedy available to them is the pursuit of a lawsuit against the company responsible for the product. In cases where there was a widespread failure of a product injuring or affecting many people, some opt to pursue a class action suit, with the intent to remedy all customers affected. If you or a loved one has been injured in New Hampshire, contact the team of personal injury lawyers at Tenn And Tenn today.